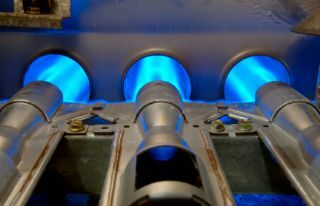 The majority of furnaces in homes and businesses today are fueled by natural gas or propane. These two fuels burn cleaner than conventional fuel oil. Additionally a furnace fueled by natural gas or propane will have less operational difficulties than a furnace with oil burners. The majority of problems with a gas burning furnace will involve a thermocouple, a pilot light, or an electrical system component. Our Santa Rosa Furnace Repair Contractors are familiar with these systems. When your thermostat is not working as it should, itâ€™s important that you do not hesitate to contact our heating and Furnace Repair in Santa Rosa professionals. We are dedicated to providing professional services heating repair in Santa Rosa and the highest level of customer service. We offer our emergency heating and furnace repair in Santa Rosa dispatch to residnetial and commercial customers. With 24/7 emergency repair technicians on stand-by, no matter what time of day or night you encounter heating and furnace replacement issues, we will rapidly send our repair technicians to diagnose problems and offer a range of affordable solutions for repair, replacement of parts, and full system replacements. A gas furnace (or heater) will have a control shutoff valve so as to prevent gas leaks. It is important to realize that these shutoff valves are not fail-safe. If there is a smell of gas in your house it is important to not turn on any lights as a spark could result in igniting that gas. If a gas smell is present, immediately leave your house, but try to provide ventilation. It is also important locate and shut off the main gas shutoff valve and know the locations for all shutoff valves for every gas appliance in your house. Go to our cost saving offers page (link to the right) to get your inspection coupon. We can locate and label all of your gas shutoff valves on top of providing you with a complete plumbing, heating and cooling inspection. If you live in Santa Rosa or the greater Sonoma, Marin, Napa or Solano County areas and are having a furnace problem call Hug Heating & Cooling today and let us solve your furnace problem! We are the "Furnace and AC Whisperers" - The professionals you're looking for. As a professional Heating and furnace repair in Santa Rosa, we are ready to offer you reliable service. Your home will benefit from having one of our fully trained technicians service your cooling system. We work earnestly to ensure your Air Conditioning system is in proper working order. Call us anytime, day or night, at 707 385 1209 for exceptional HVAC service in Santa Rosa. Hug Plumbing provides Santa Rosa with professional and high quality heating solutions for your home. We specialize in the repair, installation, and service of heat pumps, wall units, furnace repair & replacement in Santa Rosa, CA. Call Hub Plumbing today for all your heating repair & Furnace Repair & Replacement in Santa Rosa needs.